Advanced Medicine with Dr. Rashid A. Buttar!! 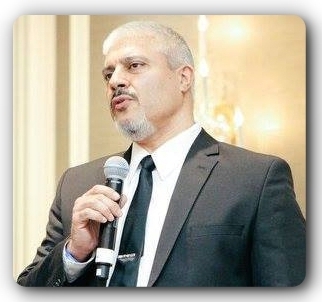 If you missed any of the Advanced Medicine radio shows with Dr. Rashid A. Buttar and Robert Scott Bell, be sure to go to www.MedicalRewind.com to listen to the show replays. Bacteria In Our Guts May Be Communicating With Our DNA, Study Shows – Bacteria in the gut may be able to boss around the genes found in their hosts – at least, in worms. According to a new study published in the journal Cell, trillions of bacteria found within the average gut may be practicing a sort of “interspecies communication” that transcends language. Gut bacteria secrete a molecule called nitric oxide. In an attempt to understand how bacteria communicate with its host, researchers tracked nitric oxide levels inside tiny worms (C. elegans). They found that this molecule is capable of attaching to thousands of host proteins and, as such, changed the worm’s ability to regulate its own gene expression. And if it works in worms, there is a possibility similar activity could be happening within our own stomachs. Previous research has shown that nitric oxide attaches to human proteins in a process known as S-nitrosylation, which has been linked to diseases like Alzheimer’s, Parkinson’s, asthma, and cancer, among others. Connecticut: SB 858 – Allows for administration of HPV and Hepatitis B Vaccines to minors without parental consent. Public Hearing 02/25/19. Florida: HB 245/SB 356 – Mandates HPV Vaccine for children as a requirement for school attendance. Illinois: SB 1659 – Mandates HPV Vaccines for 6th grade students. Massachusetts: SD 1520 – Mandates HPV Vaccine for school children. New Jersey: A1847 – Mandates HPV Vaccines for students in grades six through 12. New York: (2 bills) A973/S3899 – Allows health care practitioners to administer HPV/Hep B Vaccines to minors without parental consent. And S298 – Mandate the HPV Vaccine to the current list of vaccines required for children. Remember to pick up the international best seller “9 Steps To Keep the Doctor Away!” http://www.the9steps.com/ (if you buy the book, you can get a DVD for an incredible discount!).. Click HERE for Free access to the AHEAD MAP (Medical Assessment Program). Use Invitation Code 11 to gain access. Doctors’ dilemma: To see or not to see unvaccinated kids – To vaccinate or not to vaccinate. It’s an issue that surfaces again and again, despite evidence on how effective immunizations are in disease control. The use of vaccines worldwide has eradicated smallpox and done nearly the same for polio. In the United States, diphtheria, bacterial influenza, measles, mumps, rubella, tetanus and others also are close to the brink of eradication. Yet, there’s been a significant outbreak of measles this year in Oregon and Washington state, with cases reported so far in 2019 in a total of 10 states. The Centers for Disease Control attributes continuing outbreaks to an increase in the number of travelers who get measles abroad and bring it back the United States, spreading it in pockets of unvaccinated people. I nflammation in midlife hastens cognitive decline – The average age of the population of the United States is gradually increasing, so conditions of old age are moving into the spotlight. Growing older is associated with a progressive decline in average thinking abilities. However, it may only affect some people very mildly, while other individuals can develop significant cognitive deficits. Understanding the risk factors involved is of growing importance. We already know some risk factors; for instance, lower levels of physical activity, smoking, and obesity appear to increase the rate of decline. Recently, some scientists have turned their attention toward the potential role of inflammation. I’ve been quite ill for the past year, I’ve had many different gut issues but no solid diagnosis. I had one red herring of mycobacterium chelonae appear in a culture a few months back, upon further investigation via bronchoscopy we failed to find the same result. I’ve been told from a friend that given my symptoms intestinal tuberculosis could be a possibility, (rare but not unheard of, symptoms match up and along with the previous mycobacterium culture could be a bit to coincidental to forget) how could I go about treating this if this really was my issue?? Diabetes and Alzheimer’s: What’s the link? – Although the conditions are seemingly independent of each other, earlier studies have found that people with type 2 diabetes are more likely to develop Alzheimer’s disease. However, the mechanisms behind this relationship have remained hidden. A recent study investigated the impact of blocking insulin receptors and insulin-like growth factor (IGF1) receptors in mouse models. The work was carried out at the Joslin Diabetes Center, affiliated with Harvard Medical School in Boston, MA. The results reveal that interrupting these similar pathways impaired both learning and memory. The researchers published their findings in the Proceedings of the National Academy of Sciences. Is exposure to lead a risk for arthritis? Study finds correlation between lead in the blood and knee osteoarthritis – Knee osteoarthritis is a menace that plagues millions of people every single day. Since it’s something that affects so many people’s lives, scientists and other experts are always on the lookout for new and improved ways of administering treatment than currently known and available methods. One group of Egyptian researchers has now contributed their part to the cumulative human effort to handle the condition by conducting a study, which looks at the link between blood lead levels and knee osteoarthritis in patients. In this study, which was published in the International Journal of Clinical Rheumatology, the researchers noted that lead is a common ubiquitous environmental pollutant, and that it may be one of the environmental factors affecting the increasing prevalence of knee osteoarthritis in young adult patients. I have 5 children. After the first one nearly died from a MMR vaccine I educated myself (early 80’s) and none of my other children were ever immunized and are healthy adults. Do you have proof that the children who are not immunized in Los Alamos schools are actually the children of scientists? Also, isn’t 2.3% (or whatever is stated) an extremely low percentile? That implies 97.7% compliance, which is way above norm. This WOULD be a fantastic reference I would love to use, but cannot do it with only the claim made. “Top gov’t. scientists say no to vaccines for their kids, Los Alamos, New Mexico” – The tally is in, and the major New Mexico school district with the largest percentage of students opting out of vaccinations against contagious diseases is not in one of the state’s known hotbeds for crystal gazing, cradle therapy or psychic readings. Nope, the highest percentage of vaccine exemptions is in New Mexico’s, and one of the world’s, science centers: Los Alamos. According to a recent report by the state Department of Health, 2.3 percent of students in the Los Alamos Public Schools have exemptions from having to get vaccinations. Silver Nanoparticles Kill Colon Cancer Cells: 12 Studies – According to the CDC, “Of cancers that affect both men and women, colorectal cancer is the second leading cause of cancer-related deaths in the United States. It is the third most common cancer in men and in women.” Indeed, there are as many as 135,430 new cases of colon and rectal cancers in the U.S. each year, resulting in 50,260 deaths. One in every 20 people will be diagnosed with colorectal cancer (colon or rectal cancer). New Studies Demonstrate Silver Kills Colon Cancer Cells Thankfully, there have been a growing number of in vitro (i.e., “test tube”) clinical studies over the last 10 years using various forms of antimicrobial silver against colon cancer cells, each of which have demonstrated silver’s effectiveness against the cancer cells. We’ll take a quick look at twelve of these studies, below. Nearly 1 in 7 US kids and teens have a mental health condition — half go untreated, study says – Half of children with a mental health condition in the United States go without treatment, according to a study published Monday in the journal JAMA Pediatrics. The researchers analyzed data from the 2016 National Survey of Children’s Health, a nationwide survey administered to parents of children and teens. Of the 46.6 million children ages 6 through 18 whose parents completed the survey, 7.7 million had at least one mental health condition — such as depression, anxiety or attention-deficit/hyperactivity disorder — and only half received treatment or counseling from a mental health provider in the 12 months prior to the survey. The number of children with a mental health condition varied widely from state to state. In Hawaii, for example, 7.6% of children had one of the conditions, compared with 27.2% in Maine. The number of children with a diagnosed mental health condition who weren’t treated by a provider also ranged widely, from 29.5% in the District of Columbia to 72.2% in North Carolina. World Cancer Day – World Cancer Day was born on the 4 February 2000 at theWorld Summit Against Cancer for the New Millennium in Paris. The Paris Charter aims to promote research, prevent cancer, improve patient services, raise awareness and mobilise the global community to make progress against cancer, and includes the adoption of World Cancer Day. For millennials, cancers fueled by obesity are on rise, study says – Cancers fueled by obesity are on the rise among young adults in the United States and appearing at increasingly younger ages, according to an analysis released Monday by the American Cancer Society. The study, published in The Lancet Public Health, examined data on 12 obesity-related cancers between 1995 and 2014, as well as 18 common cancers not associated with weight. They found a disturbing trend among adults age 24 to 49. “The risk of cancer is increasing in young adults for half of the obesity-related cancers, with the increase steeper in progressively younger ages,” said co-author Ahmedin Jemal, who is the vice president of the Surveillance and Health Services Research Program for the American Cancer Society. The risk, he said, was increasing in a stepwise manner in successively younger people. Many Children Are Overdoing It on the Toothpaste, C.D.C. Study – Many parents are squeezing potentially unhealthy amounts of toothpaste on their children’s brushes, health officials warned in a study released on Friday. The study, by the Centers for Disease Control and Prevention, said nearly 40 percent of children ages 3 to 6 used more toothpaste than recommended by dental professionals. For young children with emerging teeth, swallowing too much fluoride toothpaste can cause discoloration of their teeth, a condition called dental fluorosis. Parents of children in that age bracket should squeeze no more than a pea-size amount of toothpaste on their brush, the C.D.C. and American Dental Association recommend. The C.D.C.’s survey of nearly 1,700 children in that age range found that about 38 percent of them used more than the recommended amount of toothpaste, which has the potential to exceed the daily recommendation of fluoride intake. Exceedingly high concentrations of fluoride in drinking water can also contribute to dental fluorosis, the dental association says on its website. Arizona lawmaker says parents should get list of ingredients in all vaccines – A state senator wants to mandate that parents be told exactly which ingredients and chemicals are in vaccines before their children are inoculated. The bill introduced by Sen. Paul Boyer, R-Phoenix, would require that any health professional provide not just the positive effects of vaccinations but also the full list of ingredients and side effects before a vaccine could be administered. He pointed to a list from the U.S. Centers for Disease Control and Prevention that says vaccines may variously contain phosphate, bovine serum, formaldehyde, fluoride, yeast extracts or human diploid fibroblast cell cultures (cultures of human fetal tissue). Boyer said he’s not necessarily opposed to vaccinations for children and sidestepped questions of whether he personally believes vaccines are harmful. But he said there has been an explosion in the number of vaccines that are scheduled to be given to children, going from five in the 1960s to more than 70 now. Survey: Half Of Doctors Considering Leaving Medicine — Because Of Health Insurance – Headaches Are health insurance policies creating nightmares for physicians and hazards for their patients? A new study finds that nearly nine in ten doctors believe barriers set by insurance plans have led to worsened conditions for patients in need of care. Researchers with Aimed Alliance, a non-profit that seeks to protect and enhance the rights of health care consumers and providers, say that doctors are so fed up with the constant headaches caused by insurers, two-thirds would recommend against pursuing a career in medicine, and nearly half (48%) are considering a career change altogether. For the study, the organization polled 600 physicians in the U.S. practicing either family medicine, internal medicine, pediatrics, or obstetrics/gynecology. The group sought to understand the extent to which insurance policies impact primary care physicians, their practices, and their patients on a day-to-day basis. They also wanted to get a better understanding of mental health issues among providers, as well as the causes behind the national provider shortage. Emerging evidence of an impending Parkinson’s disease pandemic identified – For most of human history Parkinson’s disease (PD) has been a rare disorder. However, demography and the by-products of industrialization a now contributing to an impending a Parkinson’s pandemic, according to experts writing in a supplement to the Journal of Parkinson’s Disease. They say that this pandemic can be addressed by the Parkinson’s community forming a “PACT” to prevent the disease, advocate for policies and resources aimed at slowing its spread, care for all those affected, and treat with effective and novel therapies. Neurological disorders are now the leading cause of disability globally, and the fastest growing neurological disorder in the world is PD, a slowly progressive disorder that affects movement, muscle control, and balance. In 1855, forty years after Dr. James Parkinson first described the condition, approximately 22 people of 15 million in England and Wales died of PD. In 2014, roughly 5,000 to 10,000 individuals of 65 million in the UK died of PD. From 1990 to 2015, the number of people with PD doubled worldwide to over six million. Driven principally by aging, this number is projected to double again to over 12 million by 2040, and additional factors, including increasing longevity, declining smoking rates, and increasing industrialization, could raise the burden to over 17 million. A CURE FOR CANCER? ISRAELI SCIENTISTS SAY THEY THINK THEY FOUND ONE – A small team of Israeli scientists think they might have found the first complete cure for cancer. “We believe we will offer in a year’s time a complete cure for cancer,” said Dan Aridor, of a new treatment being developed by his company, Accelerated Evolution Biotechnologies Ltd. (AEBi), which was founded in 2000 in the ITEK incubator in the Weizmann Science Park. AEBi developed the SoAP platform, which provides functional leads to very difficult targets. “Our cancer cure will be effective from day one, will last a duration of a few weeks and will have no or minimal side-effects at a much lower cost than most other treatments on the market,” Aridor said. “Our solution will be both generic and personal.” It sounds fantastical, especially considering that an estimated 18.1 million new cancer cases are diagnosed worldwide each year, according to reports by the International Agency for Research on Cancer. Further, every sixth death in the world is due to cancer, making it the second leading cause of death (second only to cardiovascular disease). ANTI-VAX MOVEMENT LISTED BY WORLD HEALTH ORGANIZATION AS ONE OF THE TOP 10 HEALTH THREATS FOR 2019 – The World Health Organization (WHO) has listed vaccine hesitancy—the delay in acceptance or refusal of vaccines despite their availability—as one of its top 10 health threats facing the world in 2019. The phenomenon has taken hold in a number of countries around the world in recent times, and notably in the U.S. as well. Data from the Centers for Disease Control and Prevention shows that while coverage of most recommended vaccines remained relatively stable and high in 2017 for American children aged 19 to 35 months, the percentage who have received no vaccinations has quadrupled since 2001. According to a recent study published in the journal PLOS ONE, increasing numbers of people in many U.S. states now hold anti-vaccination views. How to Inoculate Against Anti-Vaxxers – The World Health Organization has ranked vaccine hesitancy — the growing resistance to widely available lifesaving vaccines — as one of the top 10 health threats in the world for 2019. That news will not come as a surprise in New York City, where the worst measles outbreak in decades is now underway. Nor in California or Minnesota, where similar outbreaks unfolded in 2014 and 2017, respectively. Nor in Texas, where some 60,000 children remain wholly unvaccinated thanks in part to an aggressive anti-vaccine lobby. Leading global health threats typically are caused by the plagues and perils of low-income countries — but vaccine hesitancy is as American as can be. According to the Centers for Disease Control and Prevention, the percentage of children who are unvaccinated has quadrupled since 2001, even though the overall utilization of most vaccines remains high. More than 100,000 American infants and toddlers have received no vaccines whatsoever, and millions more have received only some crucial shots. About One In 20 American Children Have Depression Or Anxiety, Study Reveals – Analysis of nationwide data revealed that 2.6 million American children — more than 1 in every 20 — were diagnosed with anxiety and/or depression between 2011 and 2012. According to the report, anxiety in children and adolescents increased in the United States, while depression diagnoses have remained at the same levels as previous studies. Researchers analyzed data from the nationally representative National Survey of Children’s Health for 2003, 2007, and 2011 through 2012. In 2011 to 2012, 65,000 parents were asked about their children’s problems with anxiety and/or depression that has been diagnosed by a doctor or another healthcare professional. The children in question were aged six to 17 years. In the most recent survey, 5.3% of children and teens were diagnosed with current anxiety or depression. The percentage of children with current anxiety in 2007 was 3.5%. In 2011-12, it was 4.1%. The percentage of children with current depression rose from 2.5% in 2007 to 2.7% in 2012. Energizing the immune system to eat cancer – Immune cells called macrophages are supposed to serve and protect, but cancer has found ways to put them to sleep. Now researchers at the Abramson Cancer Center of the University of Pennsylvania say they’ve identified how to fuel macrophages with the energy needed to attack and eat cancer cells. It is well established that macrophages can either support cancer cell growth and spread or hinder it. But most tumors also express a signal called CD47, which can lull macrophages into a deep sleep and prevent them from eating. Researchers have found that rewiring macrophage metabolism can overcome this signal and act like an alarm clock to rouse and prepare macrophages to go to work. Their findings were published in Nature Immunology today. Macrophages are immune cells just like T and B cells, but differ in that they can eat cells that are not supposed to be in the body. In fact, they are the most prominent immune cell found in cancer, but unfortunately, most are often convinced to help cancer grow and spread. Cancer cells frequently stop macrophages from attacking them by expressing CD47, a “don’t eat me” signal. Researchers now say that merely blocking inhibitory signals like CD47 is not always sufficient to convince macrophages to attack cancer. Instead, two signals are required. First, they need a signal to activate them—such as a toll-like receptor agonist. After that, a second signal—such as a CD47 inhibitor—can lower the threshold needed to wage battle on the cancer. CDC Expert Vaccine Court Witness Now Claims Vaccines Cause Autism – A pro-vaccine medical expert who has been utilized by the federal government to help defend liability cases in vaccine court caused controversy last week when he suggested that vaccines might cause autism. Pediatric neurologist Dr. Andrew Zimmerman has served as an expert medical witness for the government on many occasions. He has a history of sworn testimony citing that vaccines do not cause autism. But in a new sworn affidavit, Dr. Zimmerman seems to take a 180 turn on his prior admissions. He now claims that during a group of 5,000 vaccine-autism heard in court on June 15, 2007, he says he told DOJ lawyers during a side-bar that there are “exceptions in which vaccinations could cause autism.” “I explained that in a subset of children, vaccine-induced fever and immune stimulation did cause regressive brain disease with features of autism spectrum disorder,” Dr. Zimmerman now states. Dr. Zimmerman claims that DOJ lawyers quickly fired him when they realized his position supported even a remote possibility of a connection. This firing helped to conceal the exchange between Dr. Zimmerman and DOJ lawyers to the public at large. Additionally, it appears that the DOJ intentionally misrepresented Dr. Zimmerman’s opinions in future litigations. Sugar’s sick secrets: How industry forces have manipulated science to downplay the harm – Walk into any grocery store, grab a few packaged products, and flip to the ingredients. You’ll likely spot added sugars — lots of them — provided you can discern their dizzying array of names: sucrose, dextrose, barley malt, agave nectar, high-fructose corn syrup, treacle, to list just a few. Why is our food saturated with all these sweeteners? When did they make their way into our yogurt, cereal, and oatmeal? How did they sneak into our salad dressing, soup, bread, lunch meat, pasta sauce, and pretzels? And, most crucially, what forces are responsible for this deluge, which is making some of us very sick? UCSF scientists are uncovering the answers to those questions. What they’re finding is that the food and beverage industry pushes sugary products, while obfuscating the significant health hazards of added sugars. UCSF researchers are scrutinizing this influence, scouring the research to better understand sugars’ link to disease, and fighting biased science by exposing industry tactics and educating the public. 94% of Americans who grew up during the era of leaded gasoline found to be lead poisoned and braindamaged -A recent study published in the Journal of the American Medical Association found that 94 percent of Americans who were exposed to leaded gasoline in childhood may show signs of lower IQ scores and socioeconomic status in adulthood. Health experts pooled data from blood samples of than 500 participants who grew up in the era of leaded gasoline. Research showed that participants who had more than 10 micrograms of lead per deciliter of blood at age 11 had significant reductions in IQ points in adulthood. Researchers said participants who had high lead exposure exhibited IQs that were 4.25 points lower than less-exposed individuals at age 38. The study also found a dose-dependent effect of lead exposure on the participant’s IQ levels. According to the study, each 5-microgram increase in blood lead levels coincide with up to 1.5 IQ point loss in participants. Lead gasoline exposure in childhood was also associated with lower socioeconomic status in adulthood. Researchers said study participants who had more than 10 micrograms of lead in the blood obtained occupations with socioeconomic status four-tenths lower than those who had less exposure. Forced Water Fluoride Poisoning: More People in U.S. Drink Fluoride-adulterated Water Than All Other Countries Combined – The United States stands almost entirely alone among developed nations in adding industrial silicofluorides to its drinking water—imposing the community-wide measure without informed consent. Globally, roughly 5% of the population consumes chemically fluoridated water, but more people in the U.S. drink fluoride-adulterated water than in all other countries combined. Within the U.S., just under a third (30%) of local water supplies are not fluoridated; these municipalities have either held the practice at bay since fluoridation’s inception or have won hard-fought battles to halt water fluoridation. The fluoride chemicals added to drinking water are unprocessed toxic waste products—captured pollutants from Florida’s phosphate fertilizer industry or unregulated chemical imports from China. The chemicals undergo no purification before being dumped into drinking water and often harbor significant levels of arsenic and other heavy metal contamination; one researcher describes this unavoidable contamination as a“regulatory blind spot that jeopardizes any safe use of fluoride additives.” Dozens of studies and reviews—including in top-tier journals such as The Lancet—have shown that fluoride is neurotoxic and lowers children’s IQ. Fluoride is also associated with a variety of other health risks in both children and adults. A woman rejects parents anti-vaccination belief, gets vaccinated – A woman shared her first and only immunization record after her parents shunned childhood vaccinations. The Redditor headlined the photo: “My parents denied me vaccinations as a child. Today, I was finally able to take my health into my own hands!” The viral posting has 174,000 upvotes and more than 5,600 comments. “Thank you for doing this!” wrote one poster. “I have autoimmune disorders that make my vaccinations pretty much useless, and herd immunity allows me to survive without fearing these preventable diseases.” Wrote another: “Thank you for caring about the rest of humanity and congratulations on getting vaccinated. I hope the shots didn’t hurt too much and that you don’t have any crummy side effects.” The Redditor said that after three shots in each arm during a single visit, she was relaxing at home with her cat and playing video games. But she felt flu-like, with muscle aches and twitching. Her records show she received vaccines for hepatitis A, hepatitis B, tetanus, MMR (measles, mumps and rubella), chickenpox and human papillomavirus (HPV). Could phosphate additives in foods make you less active? – A new study suggests that high levels of inorganic phosphate—a preservative widely used in certain sodas, packaged meats and other processed foods—may be a reason why the U.S. population isn’t as physically active as it used to be. Researchers from UT Southwestern Medical Center in Dallas looked at the effect of phosphate on both mice and humans and found each had similar associations with reduced activity level and increased sedentary time. Phosphate is a particle that comes from the mineral phosphorus, which the body needs to build healthy teeth and bones. It can be found naturally in some foods, including nuts, eggs and dairy products. But inorganic phosphate frequently gets added to certain foods to enhance appearance and flavor or increase its shelf life. An estimated 40 percent to 70 percent of top-selling grocery items, including cola drinks, prepared frozen foods, dry food mixes, packaged meat and bakery products contain phosphate additives, notes the study published Monday in the American Heart Association journal Circulation. As a result, up to 25 percent of U.S. adults consume threefold to fourfold the recommended daily allowance of phosphate on a regular basis. New Flu Vaccine More Dangerous and Less Effective – Why does the CDC continue to push ineffective vaccines to prevent the flu while staying silent on the benefits of natural medicine? Action Alert! The Centers for Disease Control and Prevention (CDC) recently greenlit the nasal flu vaccine (FluMist) after advising the public to avoid that product for the last two years because it had not appeared to work as well against the H1N1 strain of the virus (even though the overall effectiveness of the flu vaccine in the 2017-2018 season was just 40%). It’s time for the CDC to stop guaranteeing profits for the vaccine industry and to start telling us the truth about how to really avoid the flu. What caused the CDC’s change of heart? According to some reports, members of the CDC were worried that sidelining the nasal vaccine would mean fewer people get vaccinated—demonstrating that the CDC is more concerned with vaccination rates than with safety. It must just be a coincidence that high vaccination rates mean higher profits for the vaccine industry. Is FluMist safe? According to the package insert, the nasal vaccine does not contain mercury or aluminum, two adjuvants that are particularly troubling, but it does contain monosodium glutamate (MSG) which has been linked with a long list of negative health effects including thyroid damage, kidney dysfunction, brain lesions, seizures, increased risk of infertility, diabetes, and endocrine disruption. Is the Increase in the Childhood Vaccine Schedule Causing an Increase in Childhood Arthritis? – For people who think of arthritis as a disease of the elderly, learning that children also suffer from arthritic conditions may come as a shock. Across age groups, various forms of arthritis are a growing public health problem in the United States. New cases of juvenile rheumatoid arthritis and other types of autoimmune arthritis in young Americans are two to three times higher than in Canada, with cases occurring within the wider context of proliferating pediatric autoimmune disorders. Over one four-year period (2001-2004), the number of ambulatory care visits for pediatric arthritis and other rheumatologic conditions increased by 50%. The medical community lumps childhood arthritic disorders under the broader umbrella of “juvenile rheumatoid arthritis” or “juvenile idiopathic arthritis” (JIA). “Idiopathic” means “no identifiable cause.” There has been a predictable rush to pinpoint predisposing genetic factors, even though most of the genetic variations identified in JIA “are shared across other autoimmune disorders.” Of more practical relevance, an emerging consensus points to environmental factors as major contributors to JIA, with childhood infections attracting particular attention. In light of the interest in infections, how do we explain the deafening silence about the possible role of vaccines as an autoimmune trigger for JIA, when the stock-in-trade of vaccination is the “mimicking [of] a natural infection”? Gut immune cells reduce multiple sclerosis inflammation in study – The human intestine may contain key immune cells that decrease brain inflammation in people with multiple sclerosis, a study says. Researchers from the University of Toronto and the University of California San Francisco found that microbes known as plasma cells that live in the gut create Immunoglobulin A, or IgA, antibodies that can travel to the brain to suppress inflammation caused by MS. The findings were published Thursday in the journal Cell. “We already knew what was and was not working in the clinic,” Jen Gommerman, a professor of immunology at the University of Toronto and study senior author, said in a news release. “But here we’ve uncovered the molecular and cellular mechanism at play. It’s a kind of reverse translation approach, which highlights the importance of the gut-brain axis in MS and other autoimmune conditions.” While experimenting with lab mice and samples from human MS patients in a preclinical trial, the researchers observed IgA completely block MS inflammation. Everything about Lyme disease is steeped in controversy. Now some doctors are too afraid to treat patients – Bruce Shilton’s crippling fatigue left him bedridden for six months. Sue Faber was so forgetful, she couldn’t remember her daughters’ birthdates. And Andrea Smith’s relentless aches sent her into a deep depression. All three Canadians say they are struggling with a chronic form of Lyme disease and feel abandoned by Canada’s health-care system. The challenge for them, and other patients with Lyme, is that the medical community is divided on how best to diagnose and treat this controversial disease. On one side of this deep divide are mainstream doctors who say Lyme is easy to diagnose with standard testing, and the prevailing treatment — a short course of antibiotics — is enough to kill the bacteria that causes the disease. They believe patients who think they have chronic Lyme but have no evidence of infection are grappling with other illnesses and that treating for Lyme masks the real cause of their symptoms and does more harm than good. ‘Transmissible’ Alzheimer’s theory gains traction – Neuroscientists have amassed more evidence for the hypothesis that sticky proteins that are a hallmark of neurodegenerative diseases can be transferred between people under particular conditions — and cause new damage in a recipient’s brain. They stress that their research does not suggest that disorders such as Alzheimer’s disease are contagious, but it does raise concern that certain medical and surgical procedures pose a risk of transmitting such proteins between humans, which might lead to brain disease decades later. “The risk may turn out to be minor — but it needs to be investigated urgently,” says John Collinge, a neurologist at University College London who led the research, which is published in Nature1 on 13 December. The work follows up on a provocative study published by Collinge’s team in 20152. The researchers discovered extensive deposits of a protein called amyloid-beta during post-mortem studies of the brains of four people in the United Kingdom. They had been treated for short stature during childhood with growth-hormone preparations derived from the pituitary glands of thousands of donors after death. Chronic fatigue: Overactive immune system ‘may trigger ME-like symptoms’ – An overactive immune system may help explain the cause of chronic fatigue syndrome, scientists from King’s College London have suggested. Many sufferers of CFS, or ME, say their condition began with a challenge to their immune system like an infection. The scientists studied 55 patients with Hepatitis C who were given a drug that causes a similar response to a virus. Eighteen of those patients had an overactive immune system and went on to develop CFS-like symptoms. Chronic fatigue syndrome is a long-term illness characterised by extreme tiredness. Scientists from the Institute of Psychiatry, Psychology and Neuroscience at King’s College recruited 55 patients who had hepatitis C. The standard treatment for hepatitis C is the drug interferon-alpha which challenges the immune system in the same way as a powerful infection. The team measured fatigue and immune markers before, during and after treatment, tracking which people developed the persistent CFS-like illness. In the 18 patients who developed CFS-like symptoms the team found a much stronger immune response to the medication. Significantly these patients also had an overactive immune system before the treatment started. Parachutes do NOT save the lives of people who jump from aeroplanes, claim sarcastic scientists in a study designed to reveal how flawed ‘research’ can be – Parachutes do not save the lives of people who jump from aeroplanes, or so a study suggests. In a trial of 23 volunteers, all participants somehow survived being hurtled out of a plane – even those without parachutes. But the sarcastic scientists didn’t mention until 16 paragraphs into the study how the volunteers jumped a mere 0.6m off a stationary aircraft. The scientists argued their lighthearted trial highlights how misleading research can be. Writing in the Christmas edition of the British Medical Journal, they added accurate interpretation requires a ‘complete and critical appraisal of the study’. The ‘Look Before You Leap’ study was carried out by scientists at Harvard and led by associate professor of medicine Dr Robert Wayne Yeh. Although written in good fun, the scientists hope their findings will prompt people to read studies in full rather than taking a ‘cursory reading of the abstract’.